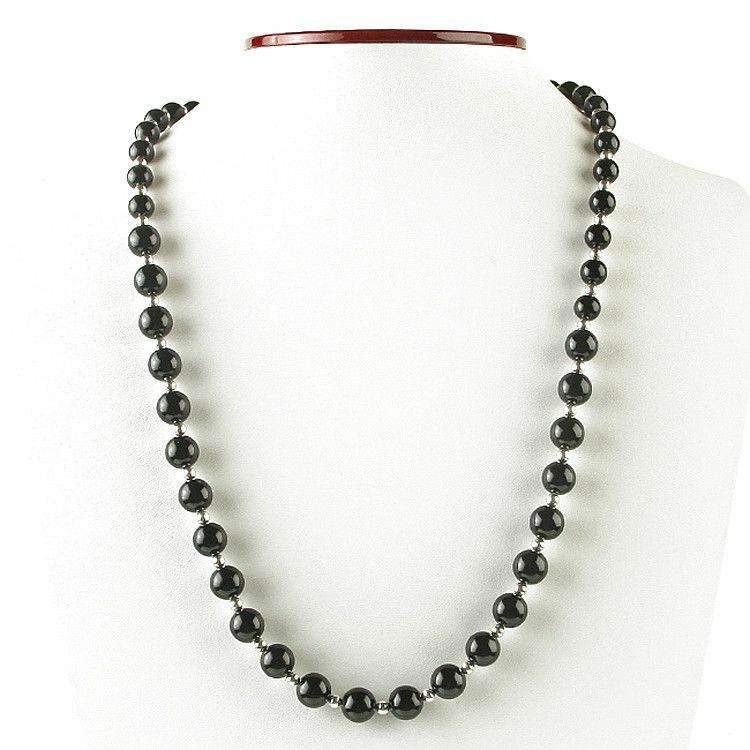 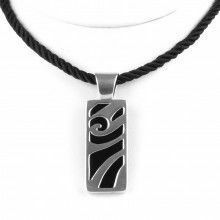 This striking black and silver necklace features highly polished, perfectly spherical black onyx beads strung between small .925 sterling silver spacers. 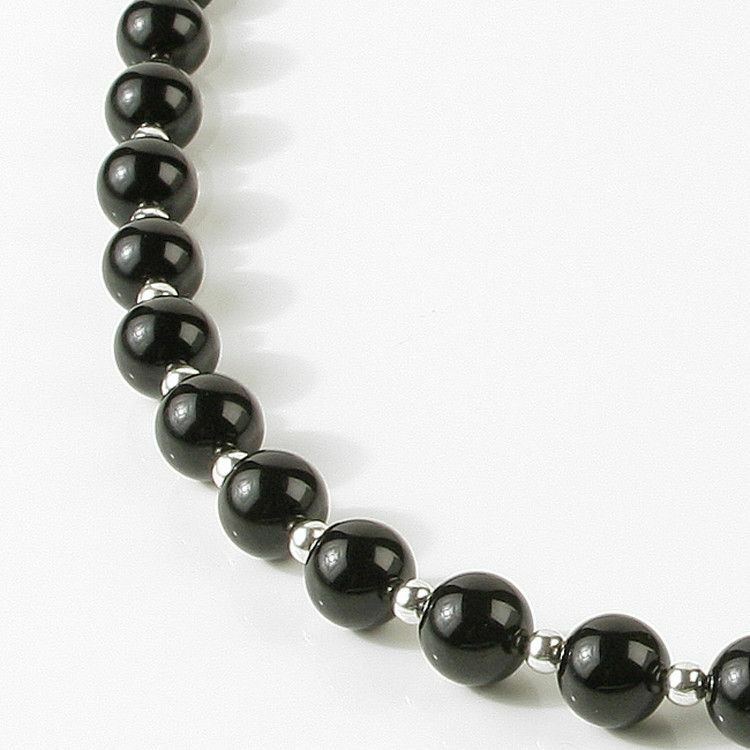 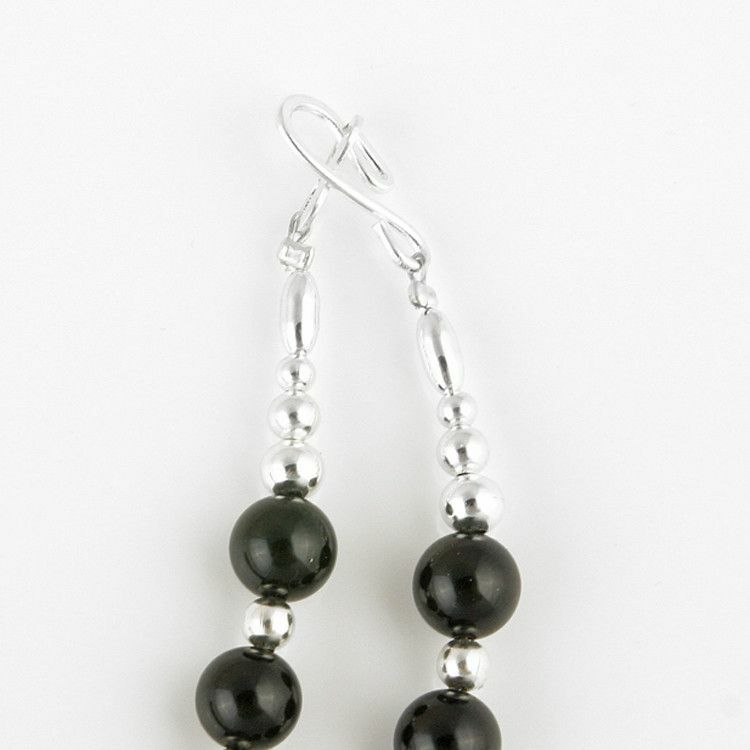 The 100% genuine onyx gemstone beads were hand strung with smaller beads in the back and larger beads in the front. 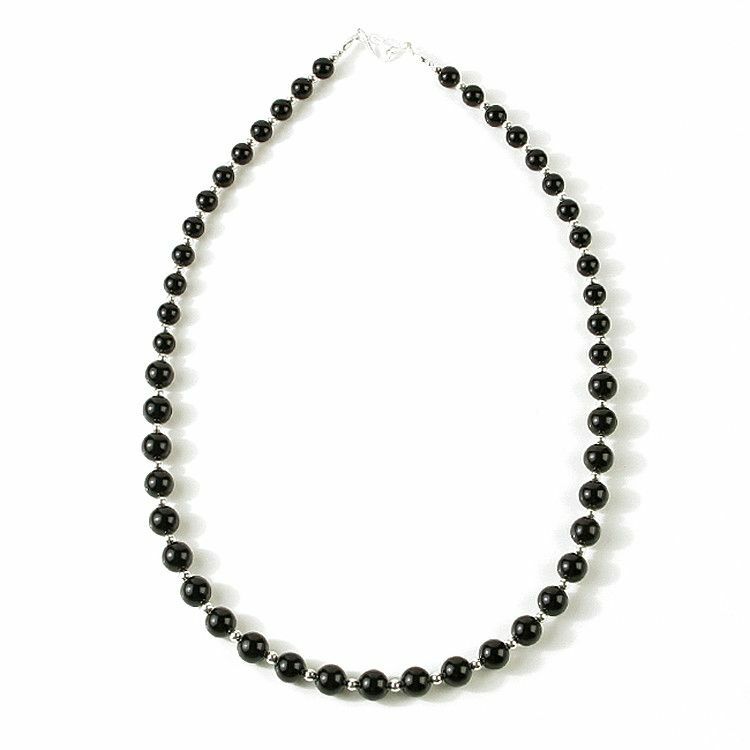 This timeless necklace lends an air of elegance to whomever wears it.